Crime humorist Brian James shares his newest release Fortune: the Aftermath of an Infamous Bank Vault Heist. This novel looks at the bank robbery introduced during his 2011 fictional memoir Headstone, which featured his father Junior James. His latest book considers so many possibilities that even Junior James himself would be scratching his silver receding hairline and belting down several vodka and waters in the hereafter. As for what was actually taken from the trusting depositors in the Fourth of July holiday weekend bank vault burglary of the early '80s, only the perpetrators knew, and few of them would have knowledge of what ultimately happened to their "fortune." Brian James lives on Cape Cod, MA and in Dunedin, FL. He is a mild-mannered, retired, municipal recreation director, and a seasonal member of writing circles in both Brewster, MA, and Safety Harbor, FL. He recently was interviewed on NPR radio. 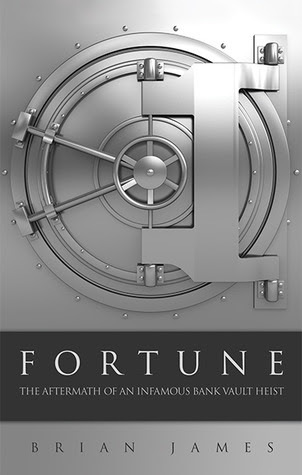 Fortune is available in print and in virtually any e-book format.